The 2010 Grand Cherokee is the last model of the current generation that Jeep will build—in 2010, the completely redesigned 2011 Jeep Grand Cherokee will go on sale. Unless your routine involves off-roading or extremely difficult conditions, the 2010 Jeep Grand Cherokee only serves to show that modern crossover vehicles are better choices for most families. To help you make a smart buying decision, the editors of TheCarConnection.com bring you firsthand driving impressions and advice on the 2010 Jeep Grand Cherokee here in this Bottom Line, supplemented with highlights from other review sources in the adjacent full review. 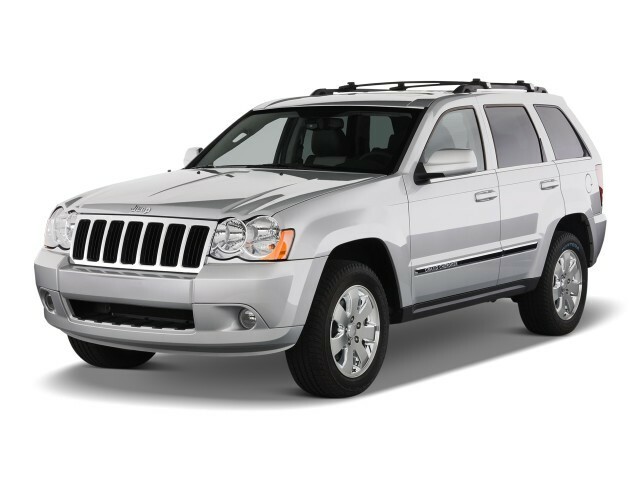 The 2010 Jeep Grand Cherokee is a much better vehicle than the Grand Cherokee that rose to popularity in the ’90s, yet it's kept its classic styling. The Grand Cherokee last saw a redesign in 2005, when its ride and handling were quite dramatically improved; overall, the 2010 Jeep Cherokee's lightweight unibody and trail-rated suspension deliver performance and refinement that compare favorably within the class of five-passenger SUVs. For 2010, Jeep cuts the number of powertrains available on the Grand Cherokee. Base models still carry a 210-horsepower, 3.7-liter V-6 and five-speed automatic transmission, but the 4.7-liter V-8 engine that we liked best of the gasoline engines has been scrapped. Jeep has also gotten rid of the 3.0-liter diesel V-6 engine that was available in 2009 models. This leaves buyers of the Grand Cherokee who are not opting for the SRT8 model to choose between the base V-6 engine and the HEMI V-8 engine that puts out 357 hp and 389 pound-feet of torque. The HEMI V-8 also includes a Multi-Displacement System (MDS) to boost fuel economy. Most shoppers will find the base V-6 adequate, while performance with the V-8 is impressive, with decent handling to match. Those who want more performance will be pleased to see the return of the range-topping Grand Cherokee SRT8—a rip-roaring on-pavement-only edition with a monster 6.1-liter HEMI engine rated at 420 hp. The 2010 Jeep Grand Cherokee does include real off-road ability, especially if you specify a four-wheel-drive model (all include high- and low-range transfer cases). Jeep offers several packages and individual options beyond the four-wheel-drive system to increase the Grand Cherokee's already formidable off-road capabilities, including locking differentials and skid plates. The interior of the 2010 Jeep Grand Cherokee is where you’ll see the benefits of opting for one of the more modern crossover vehicle designs instead of this venerable off-roader. The cabin of the Grand Cherokee is surprisingly tight in a vehicle of this size—possibly due to the floor being higher than expected—and even normal-height front-seat occupants might find their heads brushing the sunroof enclosure. In the back, there’s enough space for three, but it’s not luxurious. And because of the Grand Cherokee's sloping roofline, there is no third row of seats available, and cargo room is limited to 35 cubic feet behind the seats. Previous editions of the Jeep Grand Cherokee tended to ride harshly on paved roads, a side effect of being able to crawl over boulders and scamper across sand dunes, but engineers have managed to solve the ride/handling compromise to the satisfaction of most. The quality of the materials and switchgear inside the 2010 Jeep Grand Cherokee—including lots of easily scratched plastics—is another issue. 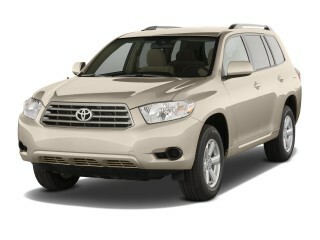 Some of it isn't great, but the real wood used in the Limited trim level is an exception and quite tasteful. The 2010 Grand Cherokee can be set up as a family wagon or a serious off-roader, according to the options selected. The performance-oriented Grand Cherokee Jeep SRT8 can be loaded with items, such as heated second-row seats, to rival the level of equipment in luxury-brand SUVs. And with available Sirius Backseat TV, the second row might become one of your kids' favorite places. The 2010 Jeep Grand Cherokee is all Jeep, outside and in, and ruggedly handsome. Reviewers don't mind the interior and exterior styling of the 2010 Jeep Grand Cherokee—but it's not very exciting overall. The upcoming 2011 Grand Cherokee has proven more of a hit on the styling front so far, but the new generation won’t be released until mid-2010. The Jeep Grand Cherokee received its last full remodel in 2005. Since then, it has aged relatively well, and it still looks fit and trim, though its angular shape isn't to everyone's taste. The traditional Jeep seven-bar grille tells onlookers that this SUV is equipped for the trail. Kelley Blue Book reports that "flared wheel arches and aggressively styled wheels" lend the Grand Cherokee Jeep the "rugged, off-road look Jeep loyalists demand." The Auto Channel says there's "no mistaking the look of a Jeep with its signature seven-slot grille and dual headlamps." 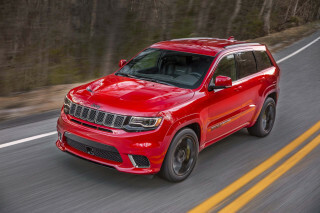 Jalopnik awards kudos to the Grand Cherokee Jeep's "athletic and contemporary appearance." According to Cars.com, the interior of the Grand Cherokee saw some changes in the 2008 model that "are modest and center on the dashboard, door panels and center console." They report that the 2010 Jeep Grand Cherokee Limited version "gets a wood steering-wheel rim and perforated leather seats with special piping." Jalopnik reviewers note the 2010 Jeep carries on last year’s "updated line of instrument clusters that feature new brighter LED illumination." The 2010 Jeep Grand Cherokee performs relatively well both on- and off-road; the SRT8 model is a blast—if you have the budget for guzzling. Experts at TheCarConnection.com point out that the 2010 Jeep Grand Cherokee shines off-road—and it manages to keep its act together on-road. For 2010, Jeep cuts down the number of powertrains available on the Grand Cherokee. Base models still carry a 210-horsepower, 3.7-liter V-6 and five-speed automatic transmission, but the 4.7-liter V-8 engine that we liked best of the gasoline engines has been scrapped. Jeep has also gotten rid of the 3.0-liter diesel V-6 engine that was available in 2009 models. This leaves buyers of the Grand Cherokee who are not opting for the SRT8 model to choose between the base V-6 engine and the HEMI V-8 engine that puts out 357 hp and 389 pound-feet of torque. The HEMI V-8 also includes a Multi-Displacement System (MDS) to boost fuel economy. Most shoppers will find the base V-6 adequate, while performance with the V-8 is impressive, with decent handling to match. Those who want more performance will be pleased to see the return of the range-topping Grand Cherokee SRT8—a rip-roaring on-pavement-only edition with a monster 6.1-liter HEMI engine rated at 420 hp. When it comes to engine choices, 2010 sees a cutback in the number of options available to Jeep Grand Cherokee buyers. The selection still retains the base-level 210-horsepower 3.7-liter V-6 and five-speed automatic transmission, which is rated at 15 mpg city, 20 highway in rear-drive models. Kelley Blue Book notes that the V-6 has "a tough time moving all that weight...particularly loaded and passing at highway speeds." For 2010, the step-up engine, a HEMI V-8, is more powerful. It puts out 357 hp and 389 pound-feet of torque (an increase over previous incarnations). Jalopnik notes that it has "more power and torque" than before. Additionally, the new V-8 includes a Multi-Displacement System (MDS) to boost fuel economy. For those who want pure performance, check out the 2010 Jeep Grand Cherokee SRT8, a rip-roaring on-pavement-only edition with a monster 6.1-liter HEMI rated at 420 hp. Kelley Blue Book rates the SRT8 at "zero to sixty in five seconds on wet or dry pavement" and at 0-100 and back to 0 in 19 seconds—impressive for a 4,700-pound sport-utility vehicle. Car and Driver predicts "thrill-seekers will go for the SRT8, which makes up in performance what it lacks in practicality," noting that this performance-oriented model "can tow only 3500 pounds." The 2010 Jeep Grand Cherokee does include real off-road ability, especially if you specify a four-wheel-drive model (all include high- and low-range transfer cases). Jeep offers several packages and individual options beyond the four-wheel-drive system to increase the Grand Cherokee's already formidable off-road capabilities, including locking differentials and skid plates. Car and Driver is one of several reviewers to express satisfaction with the Jeep’s off-road prowess: "the Jeep surmounted every awful obstacle along our trails." 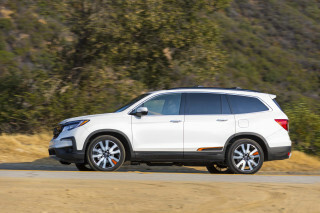 Cars.com reports that "rear- and four-wheel-drive versions are offered, and the latter driveline comes standard with Hill Descent Control that's designed to keep the SUV's speed to a crawl when traversing difficult terrain." The SRT8 edition is only available with four-wheel drive. "Grand Cherokees have a five-speed automatic transmission," states ConsumerGuide, "because that's the only way Jeep builds 'em," gripes Car and Driver. EPA fuel economy ratings for the 2010 Jeep Grand Cherokee are listed at 12 to 16 mpg in city driving and 16 to 21 mpg on the open road. 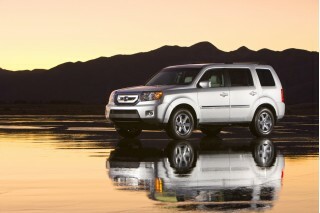 All that V-8 power comes at a price; as Kelley Blue Book puts it, "don't expect frugal fuel efficiency." Car and Driver says the Grand Cherokee Jeep SRT8 has the "worst observed fuel economy" of all at 12 mpg city, 16 highway, and TheCarConnection.com’s editors observe figures in the low teens from several Grand Cherokee V-8 models. The 2010 Jeep Grand Cherokee scores well with reviewers for handling and general drivability. 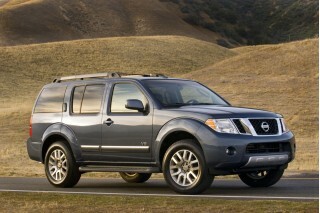 MyRide.com says this Jeep offers "superior off-road capability comparable to that of the upscale Land Rover LR3." Kelley Blue Book finds that "off-road, we were amazed by the grip that the Quadra-Drive II displayed” and how the “Jeep seemed oblivious to deep mud, extremely steep slopes and wildly uneven terrain." ConsumerGuide has concerns about on-road handling, warning that "body lean prompts slowing down for tight, fast turns, even in the handling-oriented SRT8" and that steering "isn't quick or precise." They like the braking, however, and assert that the Grand Cherokee "absorbs most bumps with little harshness." However, Kelley Blue Book quips that if you're "a true-blue driving enthusiast craving speed, speed and more speed," the 2010 Jeep Grand Cherokee (SRT8) is "one of the fastest, best-handling SUVs on the planet" and offers performance "at a price that will send the BMW X5 and Porsche Cayenne Turbo scampering home with their tails between their axles." The 2010 Jeep Grand Cherokee is quiet and refined, but a vehicle of this size should really have more passenger and cargo room. 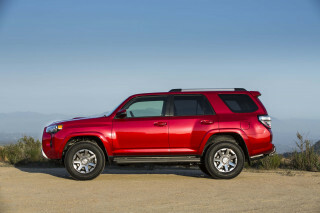 Experts at TheCarConnection.com are starkly underwhelmed by the amount of interior space in the 2010 Jeep Grand Cherokee—it's where you’ll see the benefits of opting for one of the more modern crossover vehicle designs instead of this venerable off-roader. The cabin of the Grand Cherokee is surprisingly tight in a vehicle of this size—possibly due to the floor being higher than expected—and even normal-height front-seat occupants might find their heads brushing the sunroof enclosure. In the back, there’s enough space for three, but it’s not luxurious. And because of the Grand Cherokee's sloping roofline, there is no third row of seats available, and cargo room is limited. Kelley Blue Book reports that the "Jeep Grand Cherokee can accommodate four adults in comfort—five in a pinch." About the front, ConsumerGuide warns that "headroom is not generous for six-footers, but there's ample legroom and shoulder space on supportive seats." In back, Kelley Blue Book explains that there is also "noticeable improvement in rear-seat legroom as well as ease of entry and exit, thanks to the longer rear doors"—a plus for passengers who do not like their knees meeting their ears. They complain, however, that the Grand Cherokee Jeep "does not offer a third row seat, and interior space is nowhere near the levels of larger SUVs." 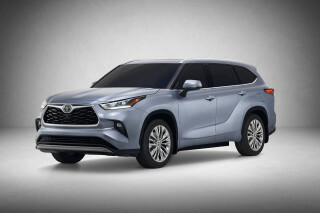 ConsumerGuide notes the rear seating is "quite firm and not contoured for best comfort," adding that "three adults fit, but none have much foot space." The quality of the materials and switchgear inside the 2010 Jeep Grand Cherokee—including lots of easily scratched plastics—is another issue. 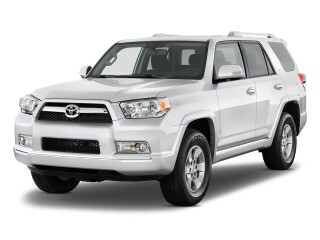 Some of it isn't great, but the real wood used in the Limited trim level is an exception and quite tasteful. Car and Driver is unimpressed by the materials, calling the interior hard plastic "a merciless prison." 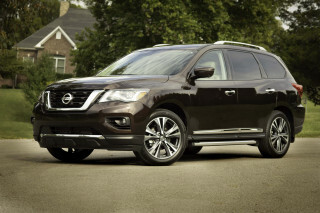 The real wood used in the Limited trim level, however, does raise the bar. Jalopnik likes the door panels that feature “armrests for improved ergonomics and comfort," and Kelley Blue Book praises the interior: "quality materials abound and the layout, execution and attention to detail are all first-rate." Previous editions of the Jeep Grand Cherokee tend to ride harshly on paved roads, a side effect of being able to crawl over boulders and scamper across sand dunes, but engineers manage to solve the ride/handling compromise to the satisfaction of most. Noise is well controlled in the 2010 Jeep Grand Cherokee. ConsumerGuide says that "one test 5.7 V8 AWD Limited suffered modest gear whine at highway speeds," but this is made up by the fact that "the SRT8 V8 provides a NASCAR-style soundtrack." The Grand Cherokee Jeep is rated by Car and Driver as "the quietest" compared to a HUMMER H3, Toyota FJ Cruiser, and Nissan Xterra when cruising on the highway, but in off-road tests, "its steel unibody sometimes emitted painful gronks when twisted." The 2010 Jeep Grand Cherokee offers decent safety and security, but it’s not top in its class. The Jeep Grand Cherokee performs just respectably in crash tests, but it offers every safety feature that you'd expect today in an SUV. The Insurance Institute for Highway Safety (IIHS) awards the 2010 Jeep its highest rating of "good" for front and rear collisions; however, the Grand Cherokee Jeep receives only a "marginal" rating for side impacts. The National Highway Traffic Safety Administration (NHTSA), in frontal impact crash tests, gives Grand Cherokee Jeep five stars out of five, but only three or four stars for rollover resistance. Reviewers note the rear backup camera and park-assist system are great options to help avoid fender benders in the 2010 Jeep. ConsumerGuide lists standard safety equipment on the Grand Cherokee as including "anti-lock brakes, skid control system with rollover mitigation, and side curtain airbag." Both comfort-oriented buyers and off-roaders are bound to be happy, thanks to a range of models, features, and powertrains on the 2010 Jeep Grand Cherokee. The 2010 Grand Cherokee can be set up as a family wagon or a serious off-roader, according to the options selected. Fittings and options are largely unchanged for 2010, save for the elimination of one trim level. For 2010, the Grand Cherokee Jeep comes in three trims, starting with the base-level Laredo. The Laredo is well equipped, with "standard anti-lock brakes, stability control, and head-curtain airbags," plus "an eight-way power driver's seat...power windows, locks, and mirrors," says Kelley Blue Book. Car and Driver calls the model "simple and clean." The Limited edition adds extra touches of class. The 2010 Jeep Grand Cherokee Limited has dual-zone climate control—"a distinct improvement for passengers," proclaims Edmunds. Car and Driver adds that the Limited trim models have "more ornate treatments, including body-colored cladding, fancier wheels and more bright-work." A leather-wrapped steering wheel, leather seats with touch control, and memory for the power driver's seat and mirrors are welcome additions to luxury amenities. Jalopnik enjoys the premium amenities—the "heated seats...[and] auto-leveling headlamps"—and says this 2010 Jeep offers "a host of innovative premium amenities" with many trim options, plus Sirius Backseat TV and satellite radio, Bluetooth connectivity, and a navigation system. With the available Sirius Backseat TV, the second row might become one of your kids' favorite places.